Happy Dies R Us Thursday everyone! Robin here with my inspiration of the week for you! 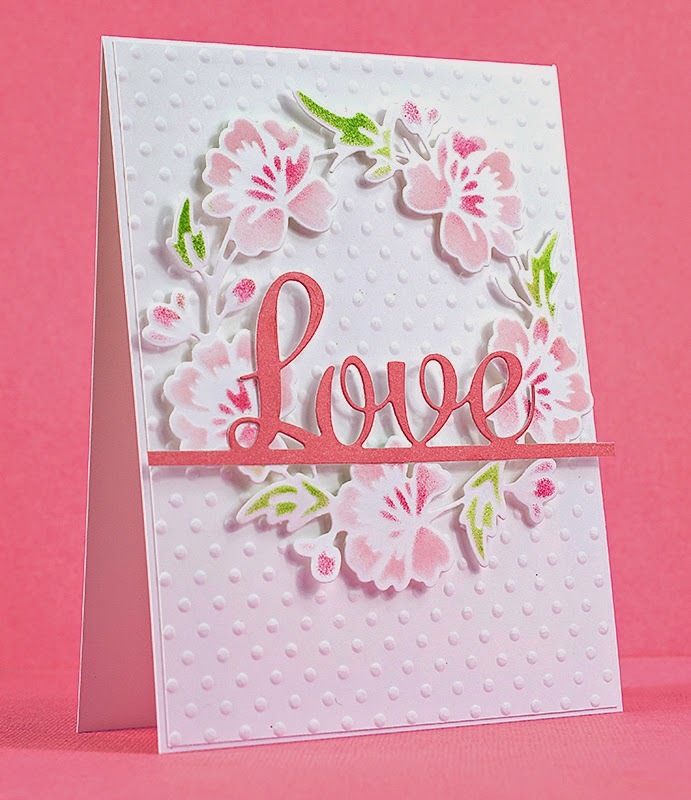 Day after tomorrow is Valentine's Day and there is still time for you to make a few cards. My design starts with an A2 top fold card base which is layered with a dot pattern embossed piece of card stock. The wreath is Memory Box Bloomington Wreath that I cut using white card stock. What I love about this die is it also acts as a stencil! If you leave your card stock in the die you can easily sponge colors of your choice onto the wreath. By just a change of color this die can be used for any occasion or season. This die is one to have in your arsenal. 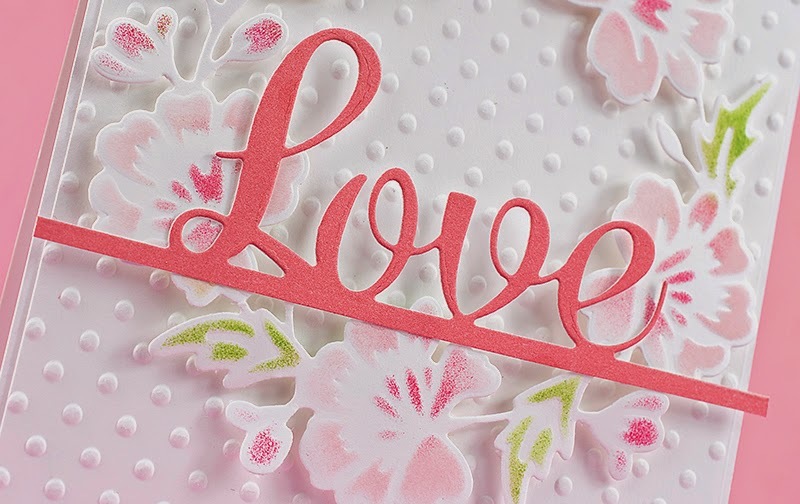 Another multi-use die is the Love Border Word die from Impression Obsession. This word die cuts on the edge or you can cut it down, like I did here, to suit your design. The wreath was added to my card base using foam pop ups and love was added with liquid glue. Don't forget to sign up for the Dies R Us newsletter! Stay up to date on sales and new products! Also check out the Dies R Us Challenge Blog featuring two challenges per month! This is absolutely gorgeous! The soft pinks just make it perfect for so many different things. More dies for my wish list now!